Your Raasay pendant is hand cut from Sterling silver using only a little hacksaw in Fiona’s island studio before a tiny wee heart is then cut out. 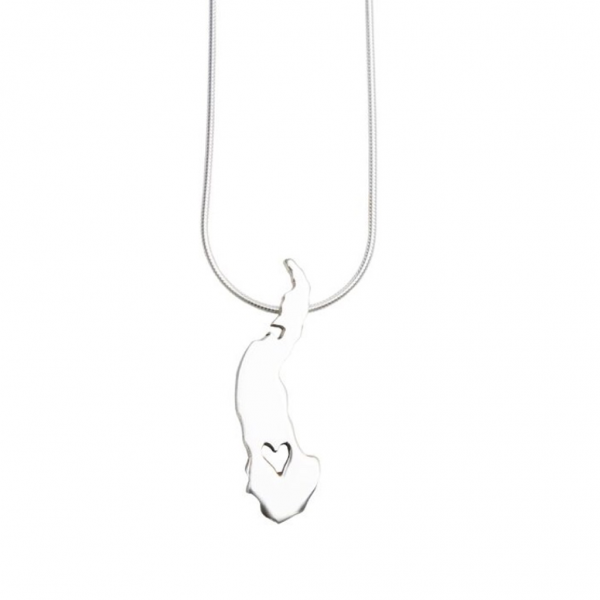 Your pendant will arrive on it’s own 18″ silver snake chain. Great service. Beautiful pendant , I will treasure it. Thank you .